Further broadening its range, ADJ has launched two versatile new spotlight fixtures, the Encore Profile 1000 WW and Encore Profile 1000 Color. 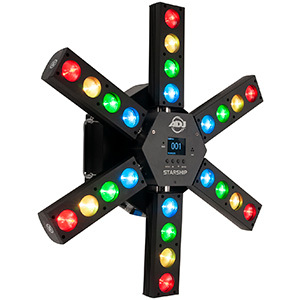 Boasting powerful COB LEDs, built-in manual zoom and focus, framing shutters and GOBO slots, these flexible lighting units are ideal for projecting monograms and other custom patterns at special events. The new Encore Profile 1000 WW is a professional ellipsoidal spotlight that utilises a 120W warm-white COB LED with a colour temperature of 3200k, CRI 98. 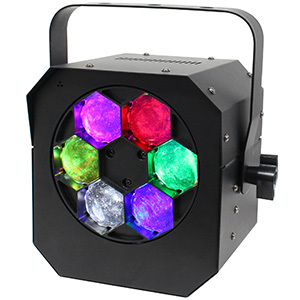 It generates a high-power beam that can be used for everything from lighting performers on stage to projecting sharp GOBO patterns. 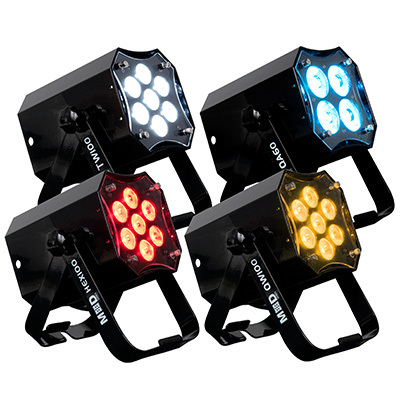 Meanwhile, for situations where vividly coloured light is required, the similar Encore Profile 1000 Color fixture features a powerful 120W RGBW 4-in-1 LED light source. This allows almost any imaginable hue or shade of colour to be created making this a flexible lighting option for a range of uses. 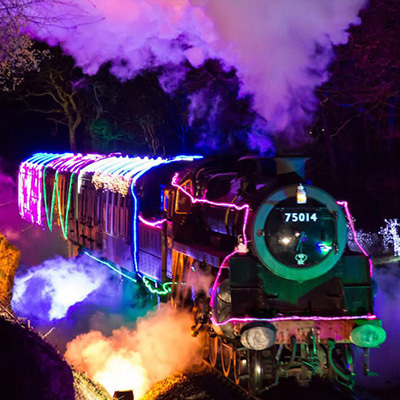 Both fixtures can be used to project GOBO patterns and are supplied with a set of four replaceable glass GOBOs as standard. The supplied patterns – stars, two rings surrounded by a heart and pair of more abstract shapes – are ideal for adding interest to plain surfaces such the walls, ceiling or floor of a venue or the back of a conference or concert stage set. Of course custom patterns can also be used and any Type M GOBO is compatible with either model. 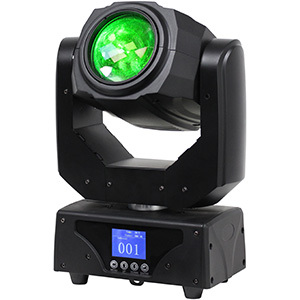 Adding to the flexibility of both Encore Profile 1000 fixtures, manual focus and zoom controls are provided on-board without any need to purchase additional lens kits or accessories. These allow the beam angle to be set anywhere between 12 and 30-degrees and the beam edge to be varied between soft and hard. Framing shutters are also included, allowing the light beam to be accurately shaped in order to illuminate exactly what is required and nothing more. Finally, variable speed strobing and 0-100% electronic dimming round out the feature set of these versatile fixtures. Both the Encore Profile 1000 WW and Encore Profile 1000 Color also offer plenty of options when it comes to control. 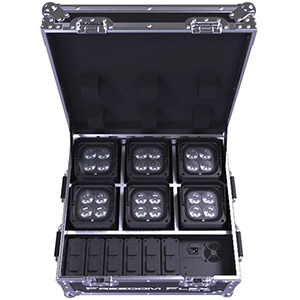 With standalone as well as DMX-controlled modes, users of the Encore Profile 1000 fixtures can be as simple or complex as they wish when it comes to operating these versatile lighting units. 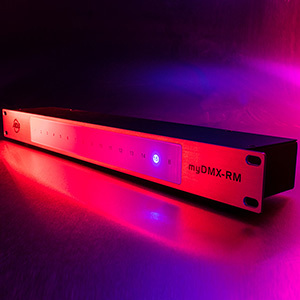 Whether it’s using the Color Fade mode to easily create mood lighting effects or the multiple DMX channel options to integrate the units into a full DMX-controlled lighting system, these flexible fixtures are ideal for any situation. 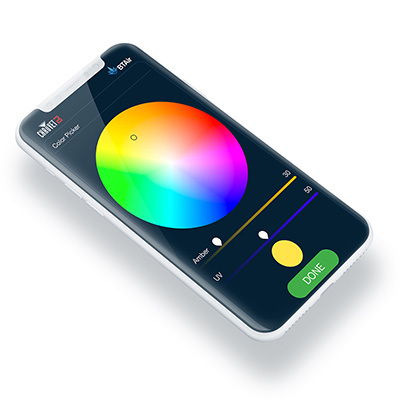 Users can even operate the fixtures wirelessly using the separately sold UC IR remote or free to download Airstream IR app, the latter of which allows the freedom to adjust settings and control effects directly from the screen of an iOS device! 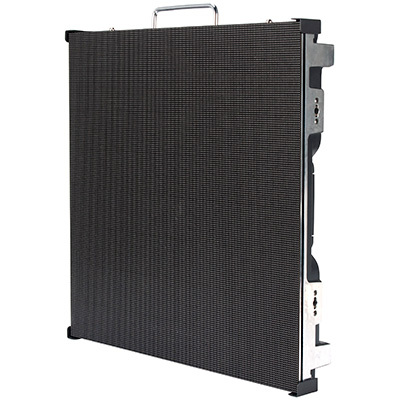 The design of both Encore Profile 1000 models is such that users can conveniently incorporate them into their mobile setup, no matter how limited the space. Weighing in at 8.5 kg. and measuring 560 x 250 x 385mm, the Encore Profile 1000s can be transported, lifted and positioned with ease; while the included hanging bracket makes it easy to mount the units from truss, scaffold bars or lighting grids. 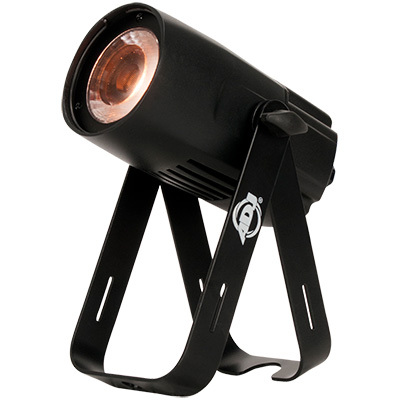 Adaptable, compact but most all forward-thinking, the new Encore Profile 1000 WW and Encore Profile 1000 Color are the perfect professional ellipsoidals for bringing spellbinding lighting to events and productions, without blowing the budget. The ADJ Encore 1000 WW and Encore 1000 Color are due to land in the UK next month (July 2016) with a retail price of around £450.